Heart, Health , Weight management, Energy, Digestion, Brain function, Normal Blood Sugar, Reduced Cholesterol, Vision, Skin health, Liver health, sleep, Immune booster, Reduced blood pressure, Reduced infections, Pain relief , Libido. 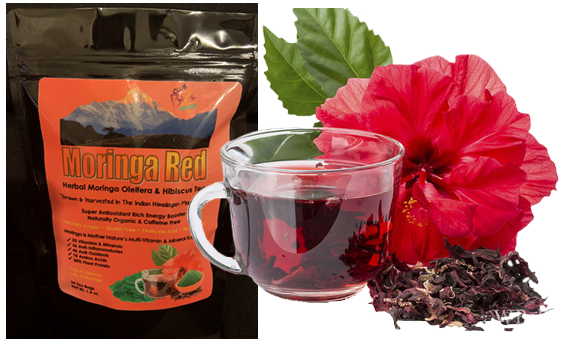 100% pure moringa Oleifera Leaves & Hibiscus flower from the pristine Himalayan Mountains. Where they have been cultivated for thousand s of years in naturally organic soil.